Cecil Ernest Shipman was born in Chelmsford on 11th February 1918 into a military family, the son of the soldier Ernest Allan Shipman (1883-1944) and Ayrshire-born Helen Wallace Shipman (nee Wilson) (1882-1923). He was baptised at Holy Trinity Church in Springfield on 6th April 1918. At the time his father was working as a clerk and living in Chelmsford. Cecil's parents had married on 29th August 1914 at 12 Academy Street in Ayr, Scotland. Cecil’s father was then aged 31, and a widower serving as a Sergeant Major in the Royal Horse Artillery. His usual address was in St. John’s Wood in London. Cecil’s grandfather, Chelmsford-born William Shipman, had also been a soldier, serving as a Captain with the Royal Horse Artillery. Cecil’s mother was then aged 27 and working as a barmaid, with her home being the location of her marriage. Cecil’s father had served in South Africa during the Boer War and had been badly wounded in the First World War, while serving in the Royal Horse Artillery during the retreat from Mons. Those injuries led to his discharge from the army and the year before Cecil’s birth he had started work for the Essex Territorial Army Association in Chelmsford. Cecil's parents’ marriage was the second for his father who had married previously In India, in 1912, to Hilda Luella Standen Wohlmann. The couple had a son soon afterwards. The 1911 census had found Hilda staying with an uncle in Deal, Kent. At the time her occupation was recorded as ‘vocalist’. Hilda and Ernest’s son died in infancy on board the hospital ship Rewa enroute from India and his mother died in Kent shortly after the ship arrived in England late in 1913. Cecil had a sister, Elizabeth Helen Shipman (1921-2008). When she was baptised at Holy Trinity Church in Springfield on 27th April 1922 her father, still employed as a clerk, was living at ‘Silverdene’ 64 Swiss Avenue in Chelmsford. Cecil's mother died in 1923, and three years later, on 16th January 1926 his father married for a third time, to Mary Louisa WIlkinson at Chelmsford Cathedral. At that time the couple were living at the Territorial Army Office at Market Road in Chelmsford. In the mid 1930s Cecil followed the family tradition and joined the army as a Territorial. In December 1941, after some five years service in the Far East, he was serving as Lance Corporal 1873304 in 40 Fortress Company, Royal Engineers, helping defend Hong Kong from the Japanese. His unit, which consisted of seven officers and 220 men, was led by Major Donald Maitland Murray. 23 year-old Cecil was killed on either 19th or 20th December 1941; The territory fell to the Japanese soon afterwards, on Christmas Day 1941. News of Cecil's death did not reach home until early 1946. By then his step-mother was living at ‘Berwyn’ (number 5) in Corporation Road, Chelmsford. His father had died in 1944 while still an employee of the Essex Territorial Army Association..
Cecil has no known grave and is commemorated on the Sai Wan Memorial in Hong Kong. Cecil’s cousin, Robert Edwin Shipman, was killed in Egypt in 1942. 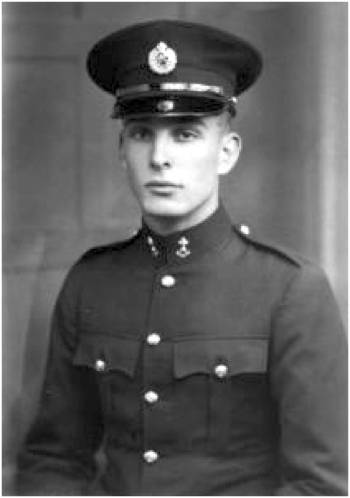 Cecil Ernest Shipman was born in Chelmsford in 1918 into a miliitary family. He joined the Territorial before the war and was killed defending Hong Kong against the Japanese in December 1941. His step-mother lived in Corporation Road.